So true. 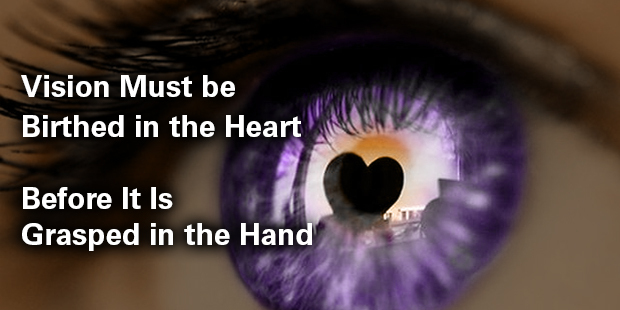 This quote reminds us of the importance of vision, that we all need something big and grand birthed in our hearts. In fact, we actually need it more than we need to grasp all the specific processes to get there. It’s true in building ships, and it’s true in discipleship. But often in our churches as we seek to lead people in a growing relationship with Jesus Christ, growing further up and further in, we tend to jump past vision and into process. The exhortations abound, and so do the systems that go along with them. We inundate people with Bible reading plans, Scripture memorization tools, helpful hints to deal with the bad breath and moody attitudes that come with fasting, and nice moleskin journals to record our deep and profound thoughts. These are all good tools. In fact, they’re more than good; they’re essential (though the moleskin might be debatable.) We need processes whether in building boats or in making disciples. There’s no doubt, in the case of building ships that people do indeed need to collect wood. They need to shape hulls and fashion masts. They need to process the right formulas to know about things like buoyancy and weight limits, wind patterns and ocean currents. But they also need to breathe the sea air. They need to feel the freedom of the wind in their hair and get a sense of the adventure that lies on the other side of the ocean. That wind and smell is what fuels the processes that must be in place in order to actually get the work done. 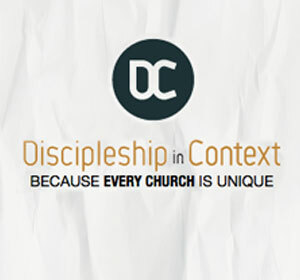 In the church, the strategy of discipleship can never trump the vision behind discipleship. “Make your own attitude that of Christ Jesus, who, existing in the form of God, did not consider equality with God as something to be used for His own advantage. Instead He emptied Himself by assuming the form of a slave, taking on the likeness of men. And when He had come as a man in His external form, He humbled Himself by becoming obedient to the point of death—even death on a cross. For this reason God highly exalted Him and gave Him the name that is above every name, so that at the name of Jesus every knee will bow—of those who are in heaven and on earth and under the earth—and every tongue should confess that Jesus Christ is Lord, to the glory of God the Father” (Phil. 2:1-11). Smell that? That’s the salt in the air. That’s the vision for the wide-open sea. That’s the imagination arresting vision before us as disciples of Jesus. We are following this One who is above every other, and as we are, we are being made like Him in our obedience. This week, don’t be too quick to gather the wood. Maybe it’s time to help them feel the wind. >> Read more from Michael here. 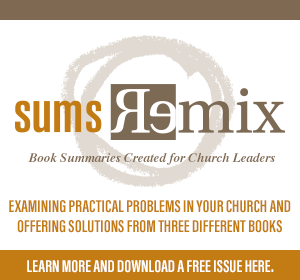 Do you need help with casting a vision for your church? Connect with an Auxano Navigator and start a conversation with our team. I’m a Christ-follower, husband, dad, author and speaker. Thanks for stopping here to dialogue with me about what it means to live deeply in all the arenas of life. I live in Nashville, Tennessee, with my wife Jana who is living proof of the theory that males are far more likely to marry over their heads than females are. We have three great kids, Joshua (5) and Andi (3), and Christian (less than 1). They remind me on a daily basis how much I have to grow in being both a father and a child. I work full time for Lifeway Christian Resources, where I’m a Bible study editor. I also get out on the road some to speak in different churches, conferences and retreats.